Home » Blog » Art classes for children in Altrincham Cheshire! Book now! WOW!! 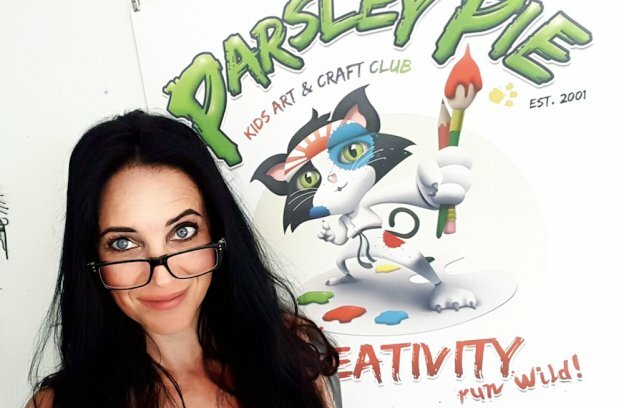 It’s been such a super sonic busy few months here at Parsley Pie Art Club for Children! I’ve been flat out running my term time classes, holiday clubs & also a few kid’s parties too! I’ve also been a speaker at a ladies networking event! & along side all that, looking after my family (human & animal!) & trying be a domestic goddess! Ha ha!! I love what do! It’s the best job ever! I’ve been running my children’s art classes & parties for over 17 years & the ethos has always been the same! SELF EXPRESSION & FREEDOM OF CHOICE! YAY!!!!! PARSLEY PIE IS THE PERFECT PLACE FOR TRUE CREATIVITY! So get in touch soon to book a class! I am now taking bookings for September 2018 here at Parsley Pie Hale! We are based just 5 minutes drive from Hale village, 10 minutes from Altrincham & Timperley & 15 minutes from Wilmslow & Knutsford! It’s a great out of school club for creative kids of all ages & abilities! Creativity is so important, not just for pre-school children, but for all ages! It helps children to feel happy, calm & proud! It helps with dexterity & problem solving! it can help boost confidence & self esteem & it helps children to think for themselves! 2. To give children a happy messy place where they are treated as individuals within a small friendly groups! Where they have the time to ponder, problem solve & tap into their imaginations! 3. To give children the opportunity for total freedom of expression! No curriculum. No pressure. No grades. No deadlines. No timescales. 4. To provide a huge range of activities, materials & projects so children can explore, experiment, create & use THEIR OWN ideas! 5. To ensure children receive expert help, support & guidance but without being dictated to, or having someone breathing down their necks! To make certain that the children who come to Parsley Pie feel happy, inspired, positive & proud! Over the last 17 years I have worked with children of all ages & abilities, including many children who have special needs! The classes are small, a maximum of 10 children as its all about quality not quantity! So, if you know children who love painting & making stuff? Being messy & doing awesome creative things? Then please share this page! Parsley Pie is the perfect place for them! PHEW!! I really am so ready for the Summer break! & i look forward to welcoming all my kids back & some new children too! Term time classes after school & on Saturday’s, plus holiday workshops & parties! Astrid the Viking Wolf & the goats Pepper & Diablo! Art workshop & Halloween Holiday Club Altrincham!